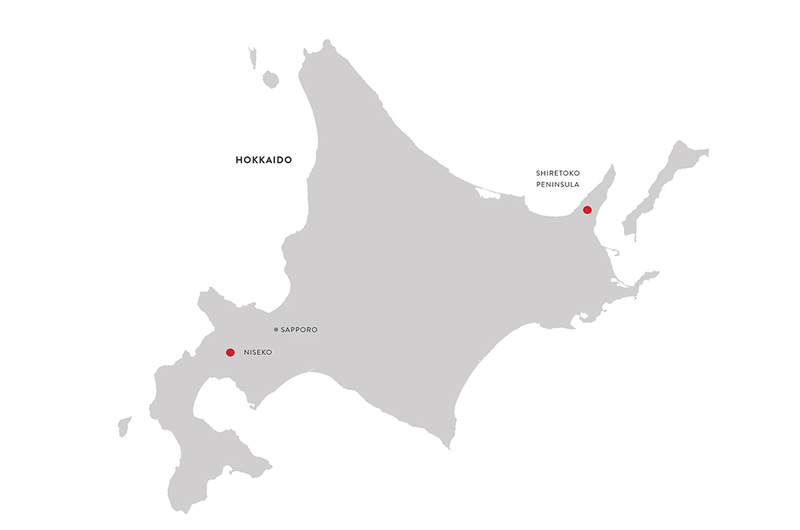 So highly regarded is Shiretoko as a unique wilderness area that in 2006 it was formally designated a World Heritage site – only the third one in Japan to be so recognised by UNESCO. Shiretoko in the language of the native Ainu inhabitants of Hokkaido means ‘the end of the earth’. And once experienced, it is easy to imagine how it got its name. If you take a map of Hokkaido and draw a line from Niseko, close to the west coast, diagonally across the island to the north-east coast, your attention is drawn to a long, thin, sliver of land that juts – dagger-like – out into the North Pacific. 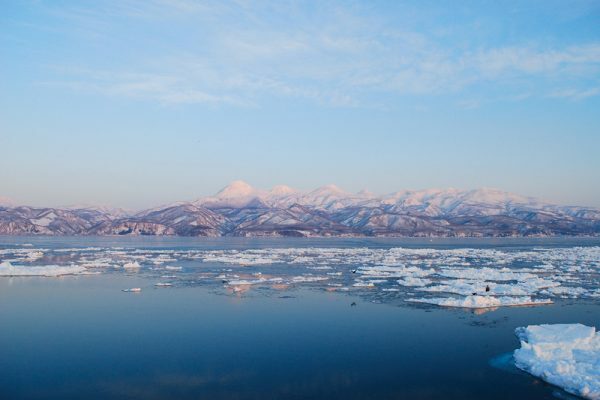 Less than 100 kilometres long, and unpopulated for most of its length, it is one of the most remote, and spectacularly rugged places in Japan. A high mountainous spine rears sharply up from a very narrow coastal plain characterised by weathered basalt cliffs over which numerous rivers and hot spring waterfalls tumble down into almost impossibly clear, aqua ocean. About half of the peninsula is national park. It is home to very few people, but to a wonderful variety of exotic flora and fauna. The star inhabitants are an estimated 300 or more Brown Bears. Growing to a weight of 400 kilograms and related to the North American Grizzly, these wonderful creatures can be seen at close quarters in their natural habitat for most of the year except winter. In Autumn, when the salmon run up the streams to spawn, the bears delight visitors with their fish-catching skills as they seek to stack on protein and fat in preparation for hibernation over the long, cold winter. Thousands of Ezoshika – a deer native to Hokkaido, roam the peninsula and are the source of excellent venison dishes in the hunting season (outside the national park). 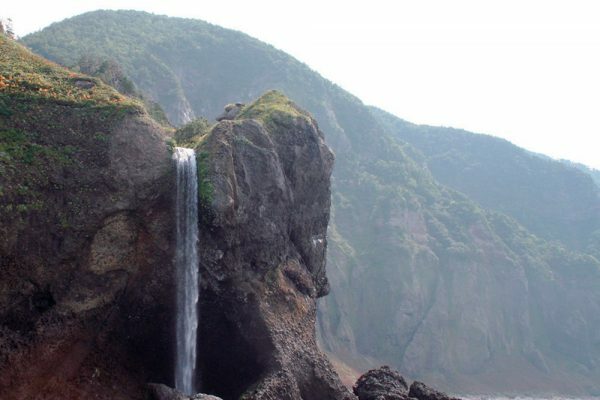 The peninsula is also the last safe habitat of one of the world’s most spectacular owls, a very large species known locally as Shima-fukuro, but elsewhere as Blackiston’s Fish Owls. Growing to a height of up to 70 cm and with a wing span nearing two metres, these extraordinary nocturnal creatures are being nursed back from the brink of extinction in the national park, and can now sometimes be seen at a small number of Japanese inns where food is left out at night to attract them into camera range. Sitting neck deep in an open air hot spring bath (rotemburo) under the stars with a cold beer on a still night listening to the call of the shima-fukuro is an experience not easily forgotten. 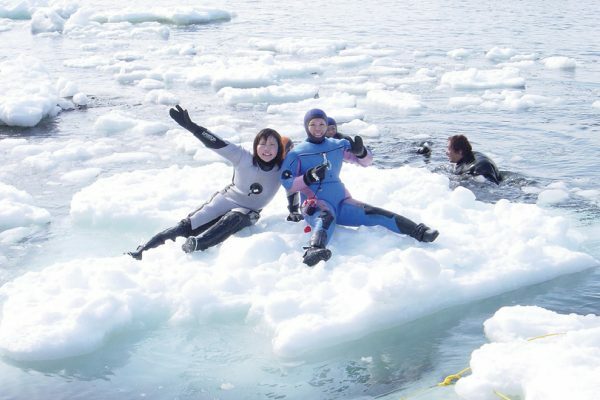 Like Niseko though, Shiretoko saves its spectacular best for winter, when floating pack ice emanating from the Siberian coast is driven by the north west monsoon to jam up against the coastline of the peninsula, forming a shelf of solid, undulating, creaking and groaning ice that stretches to the horizon. 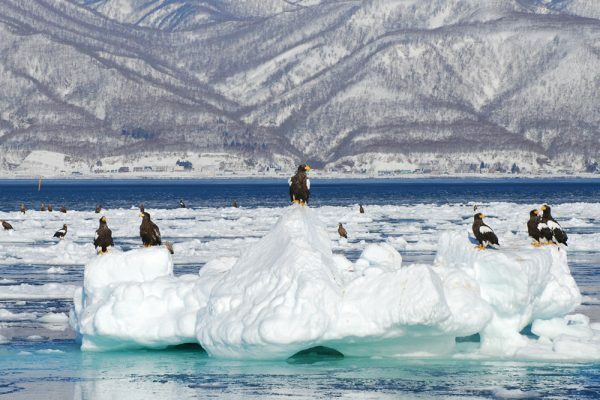 With the drifting pack ice (ryuhyo in Japanese) come seals, which in turn attract enormous eagles – magnificent brown birds with white heads and bright yellow beaks – that follow them over from Kamchatka on the Russian coast. They float overhead like hang gliders or perch on higher outcrops of ice waiting for a seal to make a fatal mistake. Guides take adventurous groups out onto the ice to trek around headlands to frozen waterfalls, or to dive under the ice sheet in warm dry-suits amid teeming sea life, and ice breaker cruise ships leave out of the port towns of Utoro and Abashiri. Accommodation is limited, but mostly comfortable and very friendly, and the seafood is to die for. 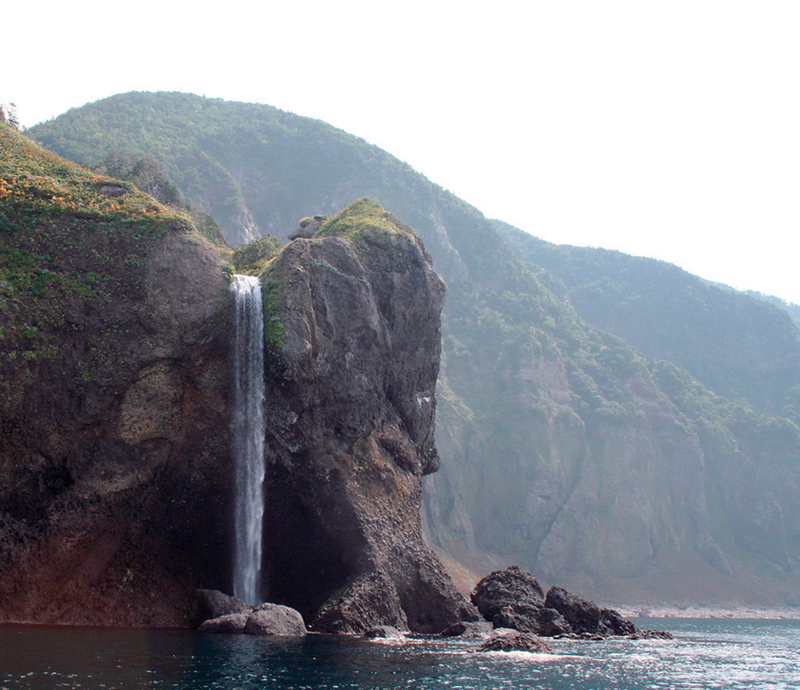 And all this is only hours from Niseko by car or by train. 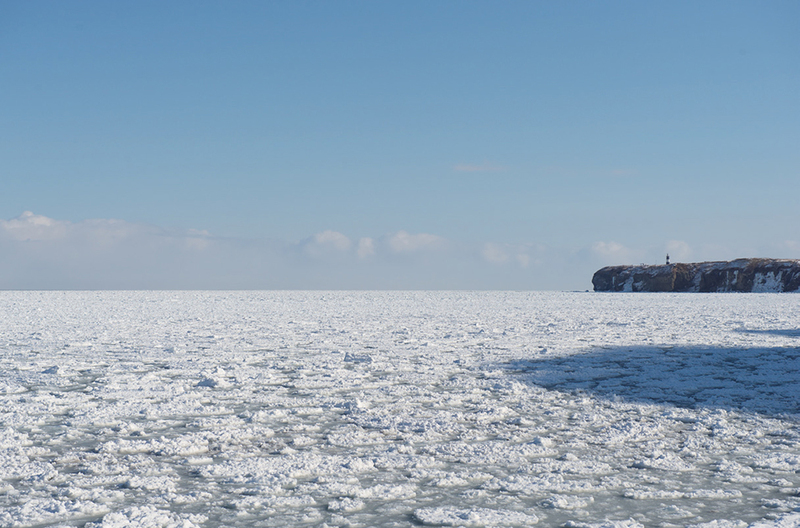 A great place to start your exploration of the rest of Hokkaido. Has anyone toured in the National Park? Good powder stashes?